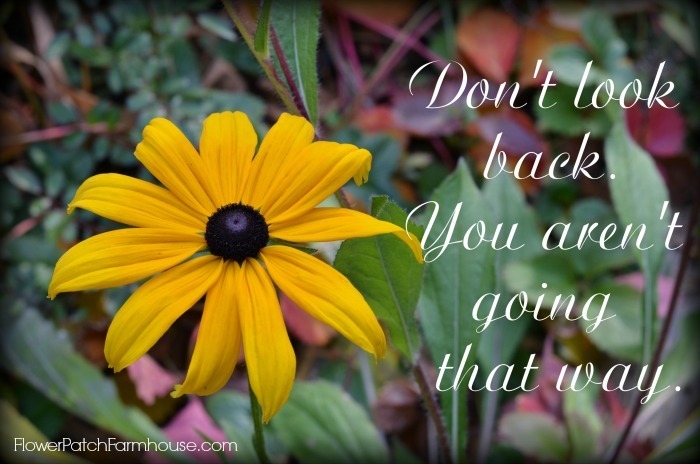 Don’t Look Back Inspirational Printable for Download. I hope everyone is fine and dandy on this lovely day. Off I go to work then back to my studio for some painting. I wish you a productive and fun day. CLICK HERE for a high resolution jpg of this photo for personal use only please. I actually took this without a tripod. I had it on the close up setting which on a Nikon is the little flower on the dial. My main trick, is take a LOT of photos, and some come out while many get tossed.